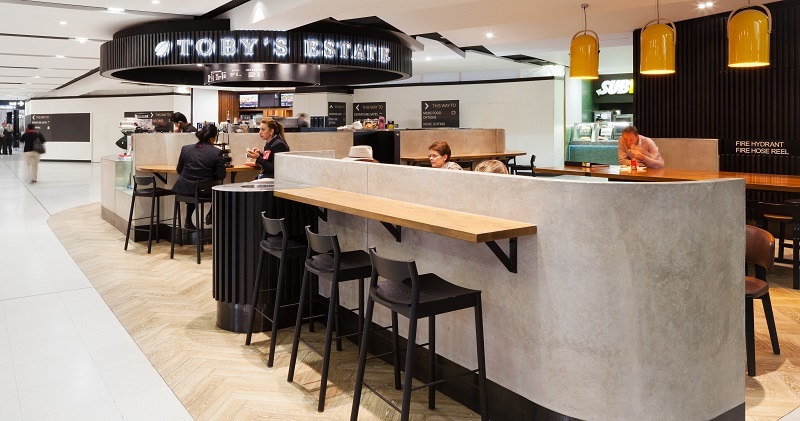 Since the company’s inception in Toby’s mum’s Woolloomooloo garage in 1998, the boutique brand of Toby’s Estate Coffee has been synonymous with quality and care. Toby has spent years travelling around South America learning about growing, roasting, packing and blending beans; armed with so much knowledge, every Toby’s Estate coffee bean is fresh, flavoursome and delicious. His time in the developing world also taught Toby the importance of fair and sustainable trade, which is one of Toby’s Estate’s guiding business principles. 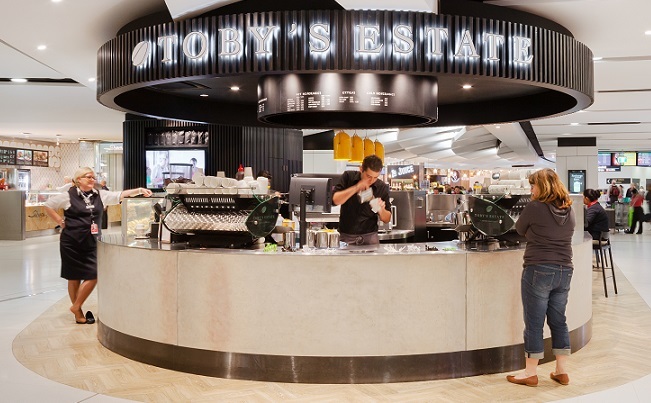 Toby’s Estate now operates popular outlets in Woolloomooloo, Potts Point, Chippendale and Bondi, as well as supplying coffee to a host of other Sydney cafes. Toby’s Estate Café is warm and cozy, with wooden seating and floors, casually scrawled chalk board menus and a buzzing atmosphere. 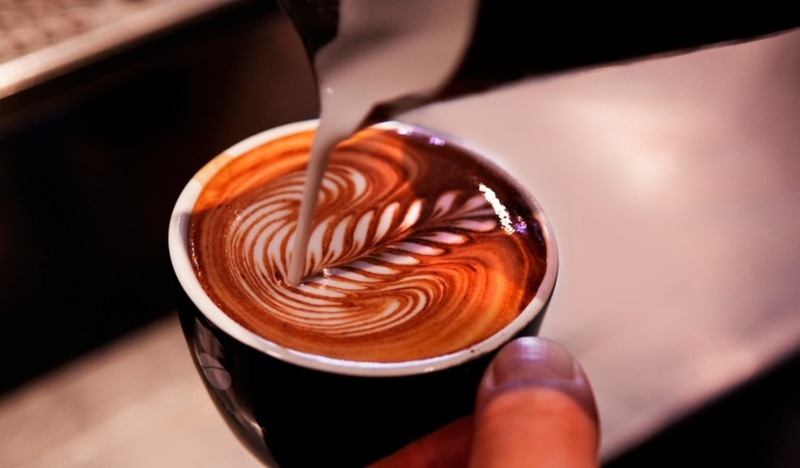 The coffee equipment is bright and retro styled, and polished to a high shine. There are decorative roasters in the corner, and there’s plenty of retail coffee and teas for sale in cute takeaway gift packs. There are also bright and interesting photos of Toby’s experiences in Brazil and other coffee producing countries, including friendly faces and scenic shots. 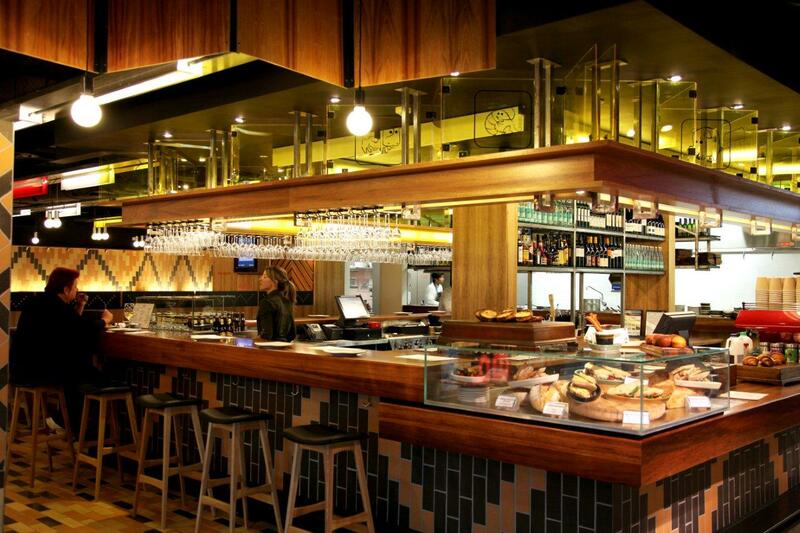 Open at all three Sydney Terminals.